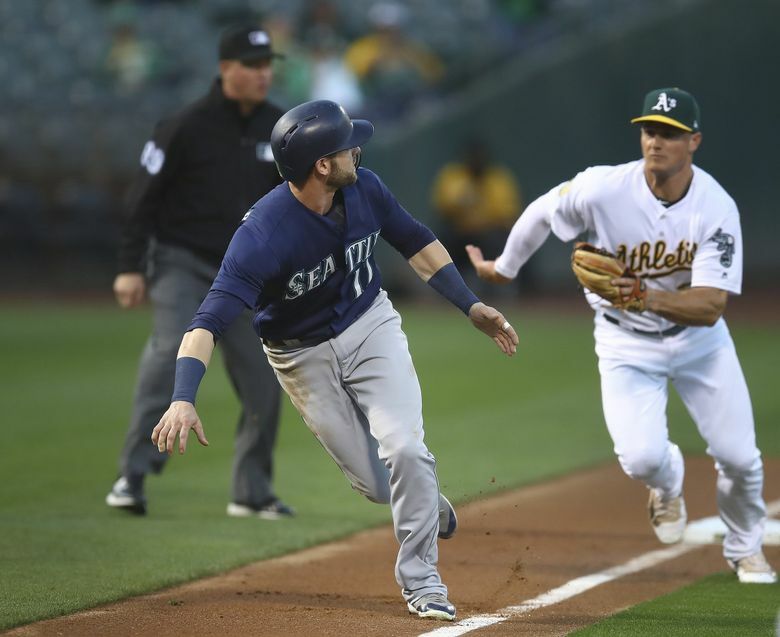 The Mariners scored five runs in the first inning and rode Wade LeBlanc's seven shutout innings to begin their pivotal four-game series in Oakland with a 7-1 win over the A's. OAKLAND, Calif. — Given how they’d performed over the past few days — particularly at the plate and with runners in scoring positions — this was unforeseen. And how they accumulated some of those runs — showing patience at the plate with runners in scoring position and a careless mistake by the best-fielding third baseman in the American League — was even less expected. Perhaps there was an added urgency, knowing the past two days of lethargy in San Diego might’ve leveled irreparable damage to their postseason hopes and dreams. And of course, they were facing the team directly ahead of them in the chase for that playoff spot. Though you wouldn’t know it by the generously listed crowd of 10,844 not filling Oakland Coliseum. 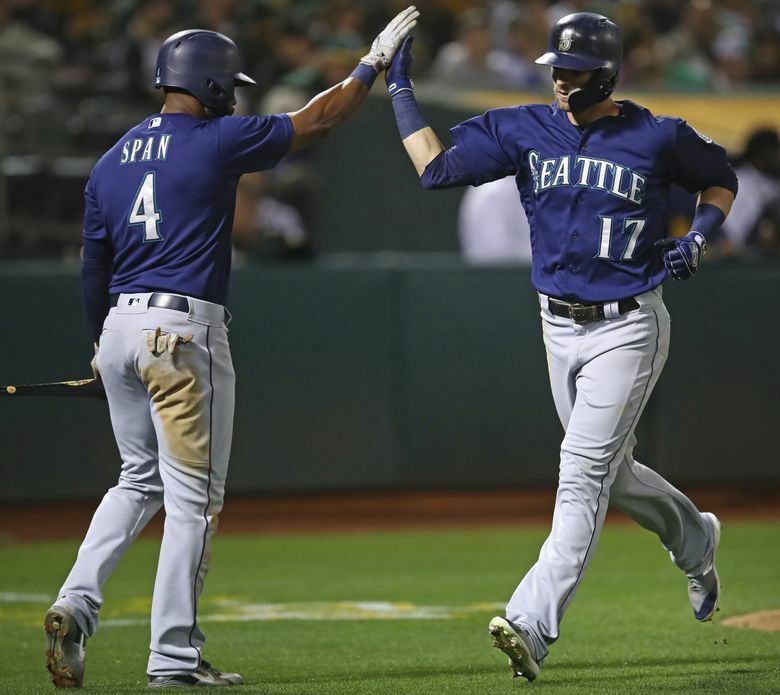 But the version of the Mariners that manager Scott Servais wishes he would see more often returned Thursday night and picked up a big 7-1 win over the Athletics. 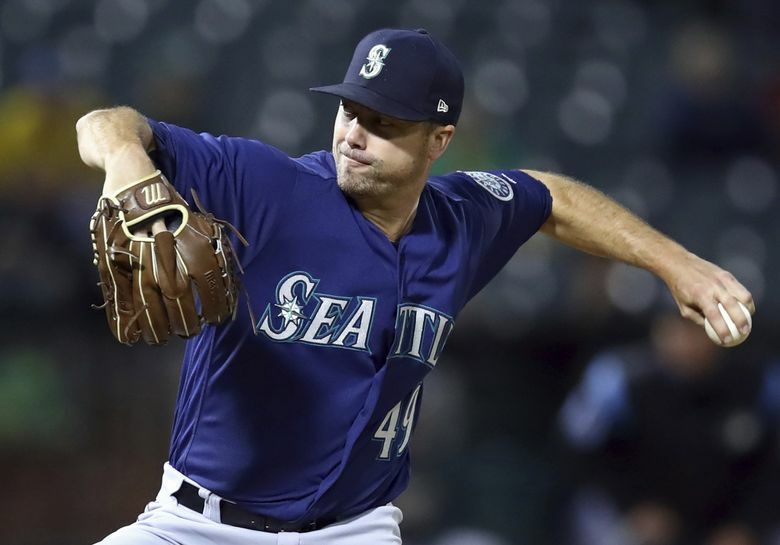 Seattle scored five runs in the first — all with two outs — and added a couple of insurance runs and was never really threatened by the Athletics, thanks to a solid start from Wade LeBlanc, who delivered seven shutout innings. But will this version of the Mariners return for the remaining three games of the series? But more than one win in this four-game series is needed with the number of games in the season down to 28. Seattle trimmed Oakland’s lead in the second wild card to 4 1/2 games. 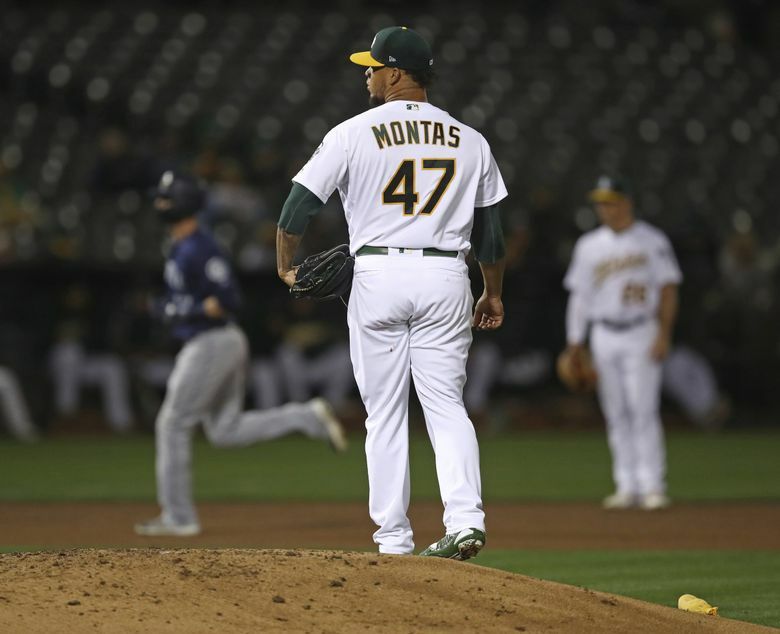 The five runs in the first inning came against starter Frankie Montas, who was making the start in place of the A’s most talented pitcher, Sean Manaea. But it probably should have been only two runs. With runners on first and third with one out, Nelson Cruz hit a rocket one-hopper up the middle that seemed destined to be a single. Instead, Montas made a leaping grab of the ball without even really looking the ball into his glove. It stunned Mitch Haniger, who was the runner at third, leaving him caught in a run down for the second out. Another out and the Mariners come away with nothing. Based on recent Mariners at-bats, it was more than a possibility. 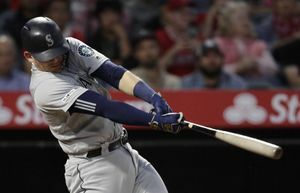 Kyle Seager worked a walk to load the bases and Healy followed with a single to left against his former team to give the Mariners a 1-0 lead. 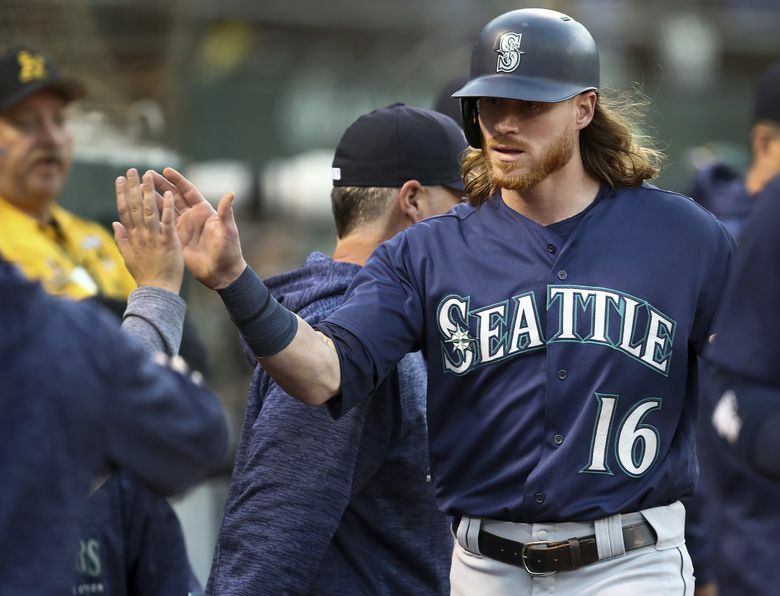 Healy wasn’t in the original starting lineup Thursday, but was added when Jean Segura pulled himself out of the lineup because of a bruised shin according to Servais. 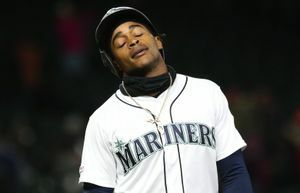 Of all the players affected by the return of Robinson Cano, Healy has surrendered the most playing time and at-bats. And while he’s trying to adjust to not playing every day and adjust his routine, his attitude hasn’t soured with the situation. Ben Gamel pushed the lead to 2-0, working a bases-loaded walk after falling behind 1-2 in the count. Two walks with the bases loaded isn’t something typical for the Mariners’ swing-first, swing-often collective. LeBlanc made sure that those gifts were put to good use. He allowed three hits in his seven innings, with three walks and four strikeouts. The Mariners added another run in the second inning. Denard Span tripled off the wall in deep right-center and Robinson Cano shot a single through the drawn-in infield to make it 6-0. Mitch Haniger made it 7-0 in the fourth inning, whacking a solo homer to left. It was his 23rd homer of the season. “The seven runs makes it easy for you to go out and do what you do,” LeBlanc said. Adam Warren allowed a run in relief, while Nick Vincent pitched a 1-2-3 ninth to end the game.